“Arkansas in United States” by TUBS – This vector image includes elements that have been taken or adapted from: Usa edcp location map.svg (by Uwe Dedering); USA Hawaii location map.svg (by NordNordWest); Canada location map.svg (by Yug). 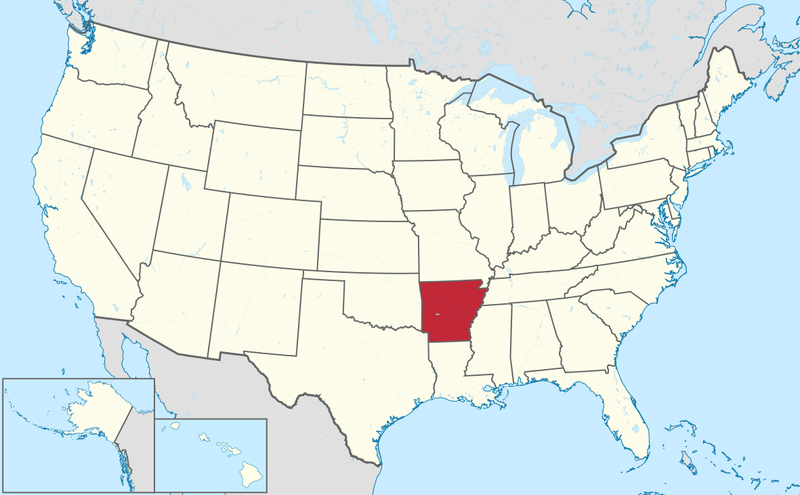 Licensed under CC BY-SA 3.0 via Wikimedia Commons: https://commons.wikimedia.org/wiki/File:Arkansas_in_United_States.svg#/media/File:Arkansas_in_United_States.svg. As of Thursday, August 6, Arkansas noncompete law was statutorily modified by the addition of Ark. Code 4-70-207. With all of the talk about states (like New Hampshire, Hawaii, Massachusetts, Michigan, and Oregon) that have imposed, or are considering imposing, limits (up to an out-right ban) on noncompetes in the employer-employee context, Arkansas has joined the ranks of states (like Alabama, Georgia, Texas, and Wisconsin) that have make it easier to enforce noncompetes. Under the new law, noncompetes in Arkansas must be limited with respect to time and scope in a manner that is not greater than necessary to defend the protectable business interest of the employer (see below). The lack of a geographic limit does not render the agreement unenforceable, provided that the time and scope limits appropriately limit the restriction. Factors to consider include the nature of the employer’s business interest; the geographic scope, including whether a geographic limit is feasible; whether the restriction is limited to specific group of customers or others; and the nature of the employer’s business. In addition, a two-year restriction is presumptively reasonable unless clearly demonstrated otherwise. Legitimate business interests that may be protected include trade secrets; intellectual property; customer lists; goodwill with customers; knowledge of business practices; methods; profit margins; costs; other confidential information (that is confidential, proprietary, and increases in value from not being known by a competitor); training and education; other valuable employer data (if provided to employee and an employer would reasonably seek to protect or safeguard from a competitor in the interest of fairness). This will be included in the next update of our 50-state noncompete chart, which will be coming soon!